I’m so glad there are others that appreciate simple planning. 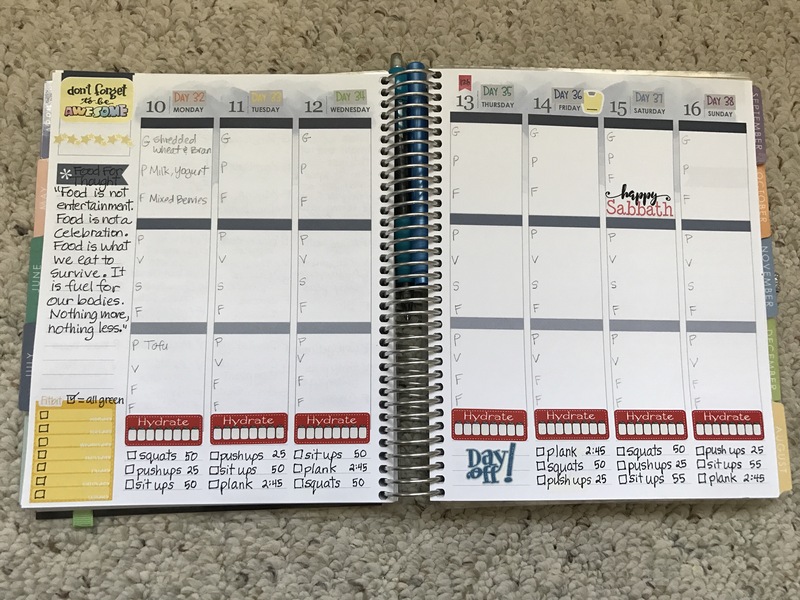 I love when my planner looks clean and sharp. I decided to use the EC stickers this week in a matching color. I’ve successfully figured out how to use my planner for work, personal, and our dogs. 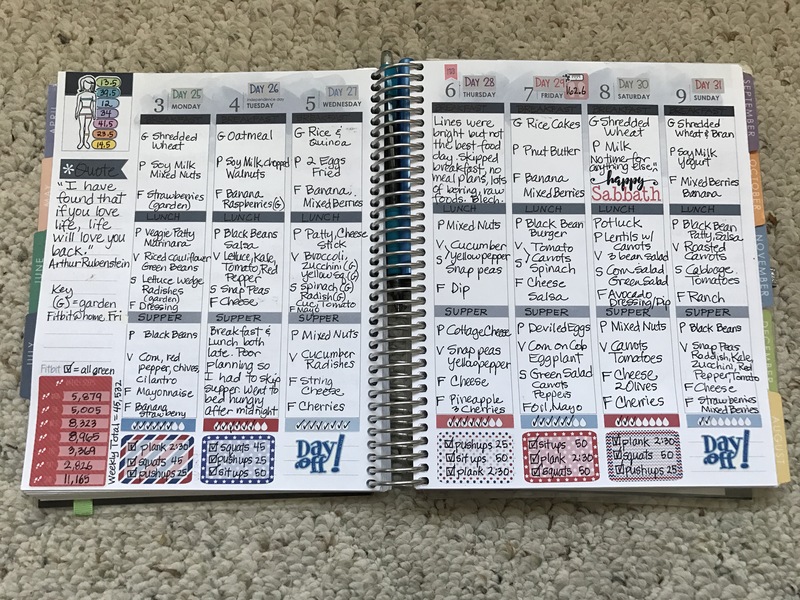 Each week pretty much looks the same but I love the simplicity of the repetition and it keeps me on track. I fill in more as the week progresses. I especially like checking off the boxes when I’ve completed a task!! Wow! It’s been a year since I posted. 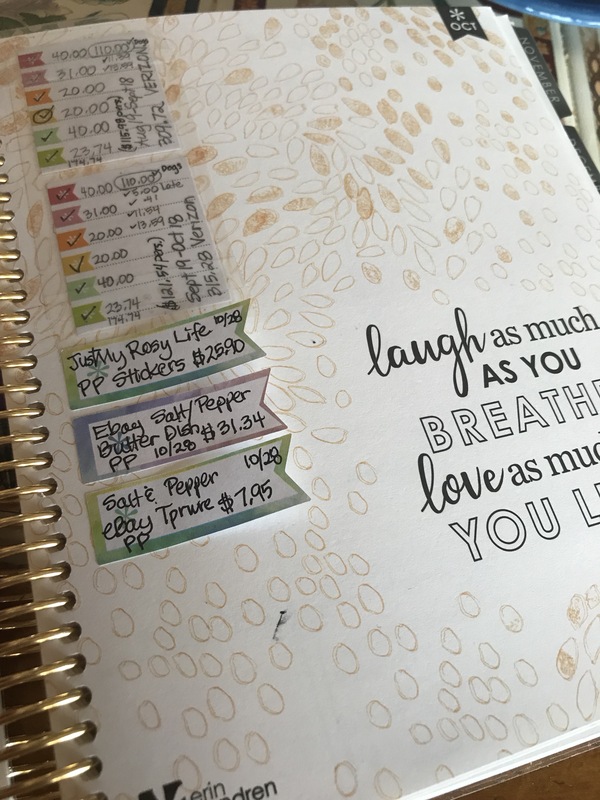 I’m still using an Erin Condren planner and currently am enjoying the colorful vertical for both my regular planner and my Bright Line Eating Health journal. 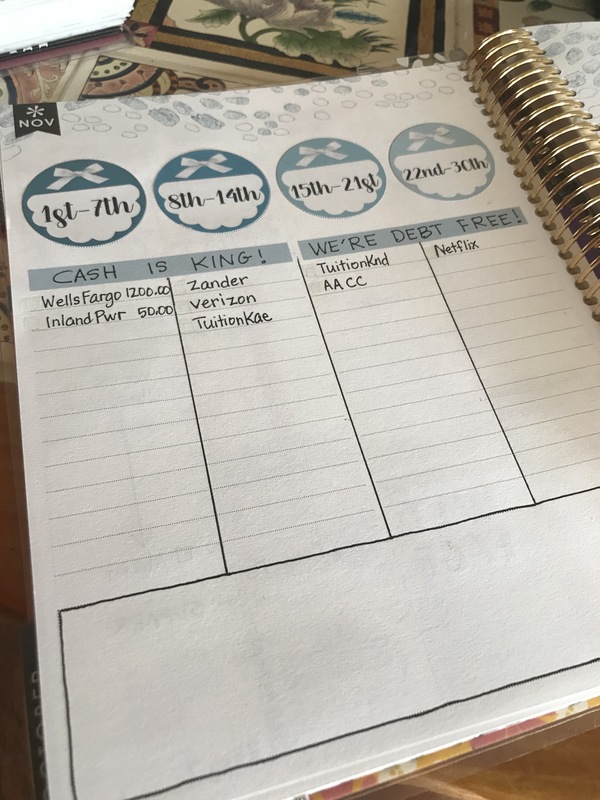 Here is last week in my planner. I’ve found that my happy place involves minimal stickers and simple black ink with lots of hand drawn check boxes. I’ve settled into using the top box for work, middle for personal appointments, etc., and the bottom box to manage the daily needs of our dog kennel. The sidebar is my To Do list and I usually put very early morning needs and the weather across the top. 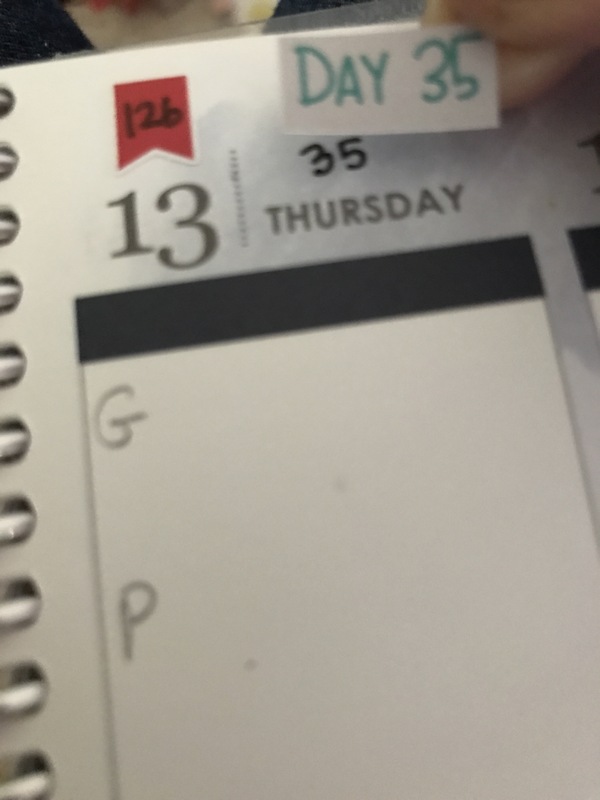 I also have a fun countdown for spring break. The top left box will be an overview of classroom assignments for my job, but this week I listed my 2018 goals. 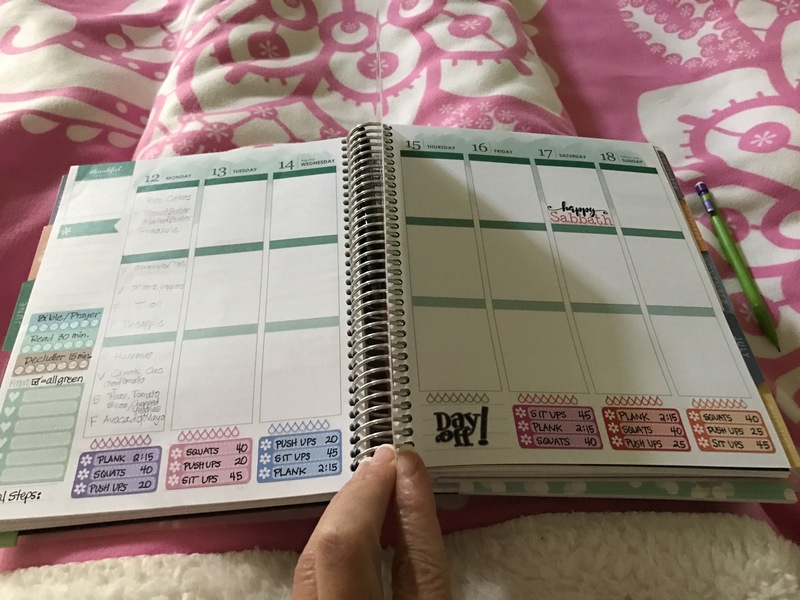 I’ve lost count but I think this is my 6th EC planner and I was smitten the first time I saw one and have been using it daily ever since. 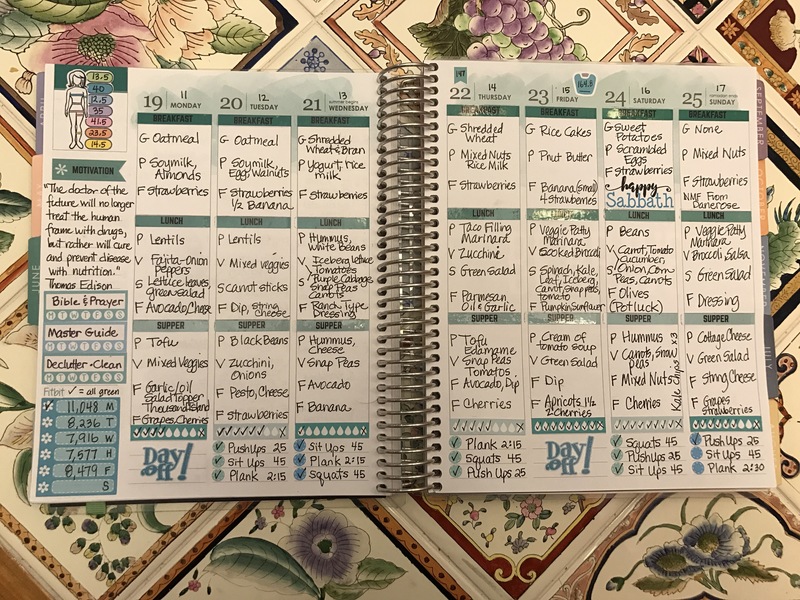 I’ve tried every layout but always come back to the vertical. I plan to be more active on this blog and would love to see you in my FB groups! There are a bunch of them, all beginning with the words “My Erin Condren”. Owl Plan With You on Etsy is a sticker shop known for her custom stickers for the Erin Condren Teacher Planner. 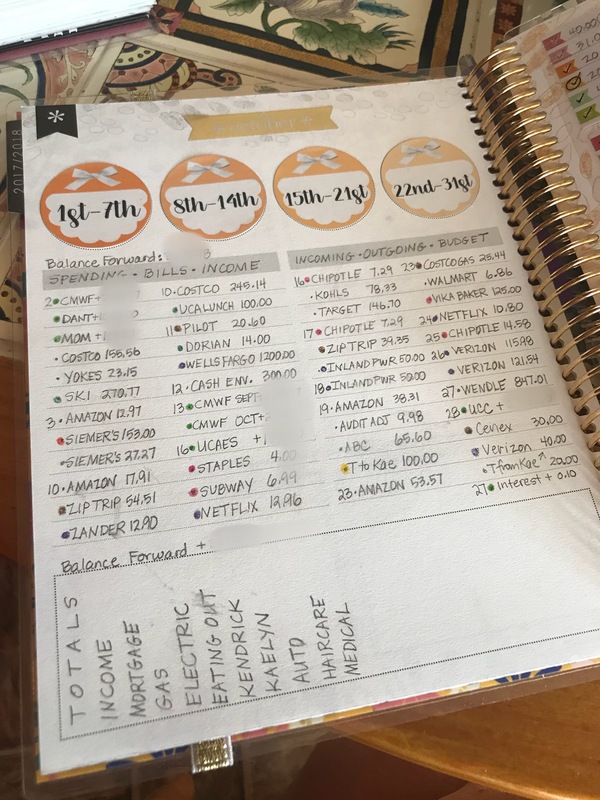 As I was browsing through her shop, I found these daily stickers that would be perfect for counting the days of the school year. I added them to my cart and had them sent my way!! 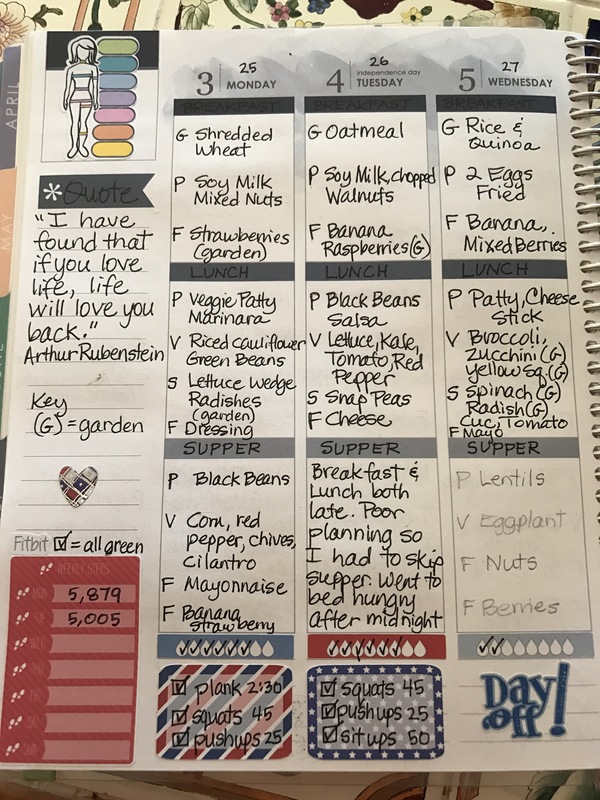 A few hours later I realized that these would be perfect for my BLE food planner because we also keep track of the number of days we’ve been doing Bright Line Eating meals!! I had written in all the days till the end of 2017. I decided to put the stickers over all my handwritten numbers. 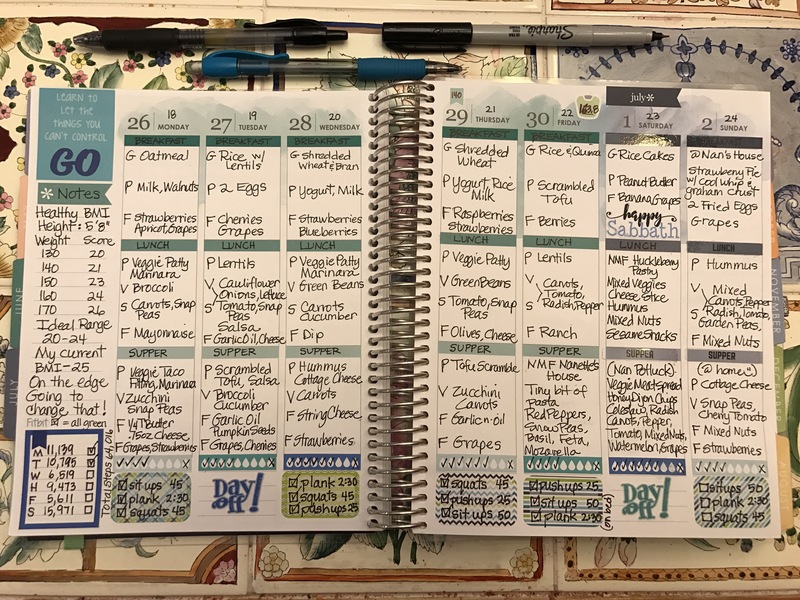 This is my past week in my food journal. 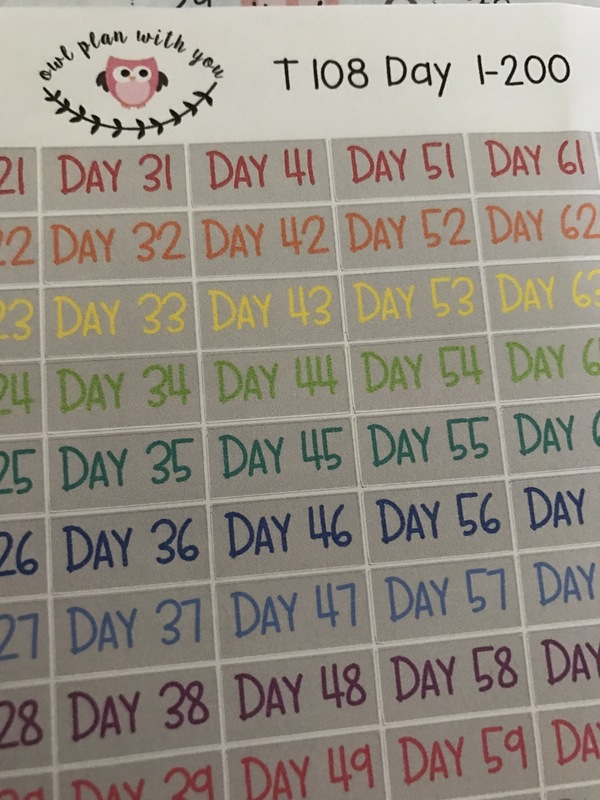 I added the daily counter stickers at the top of my days. This is my week ready for this week. 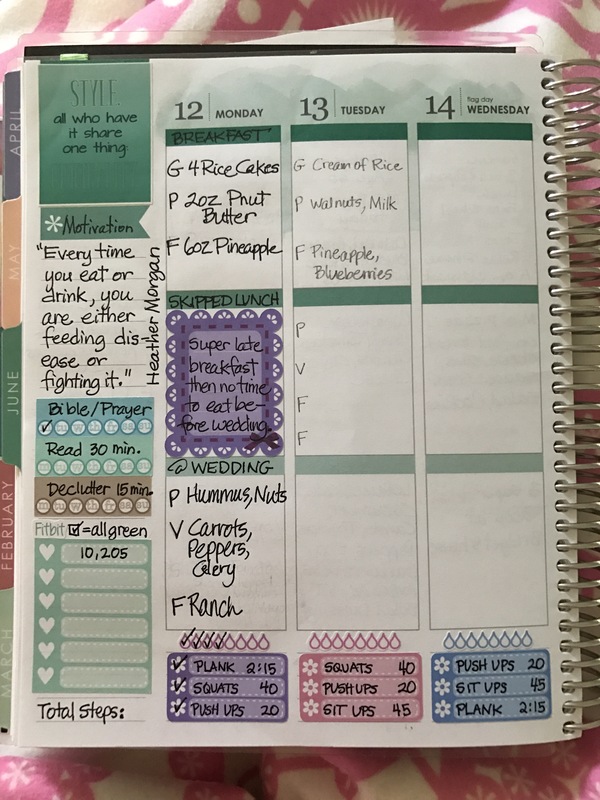 I’m just loving this planner and my system of tracking my food and exercise. Most of my stickers are KAD (www.krissyanne.com), PCD (www.plannerchickdesigns.com) or Libbie & Co. on Etsy. 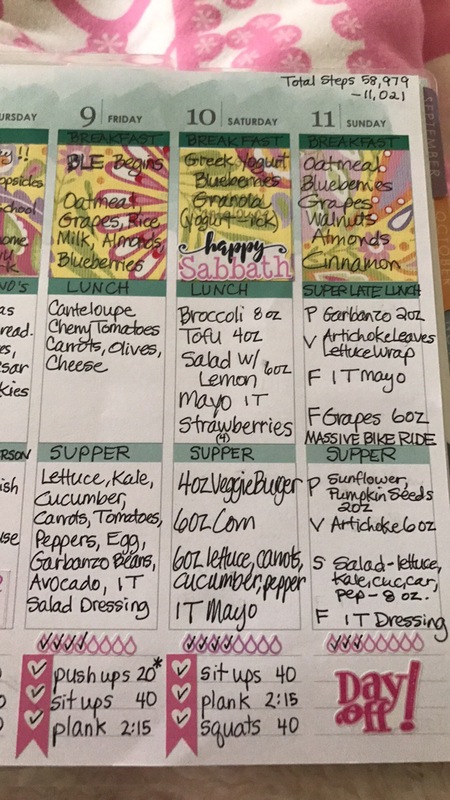 I’ve been diligently using my EC vertical planner as my food and exercise journal. 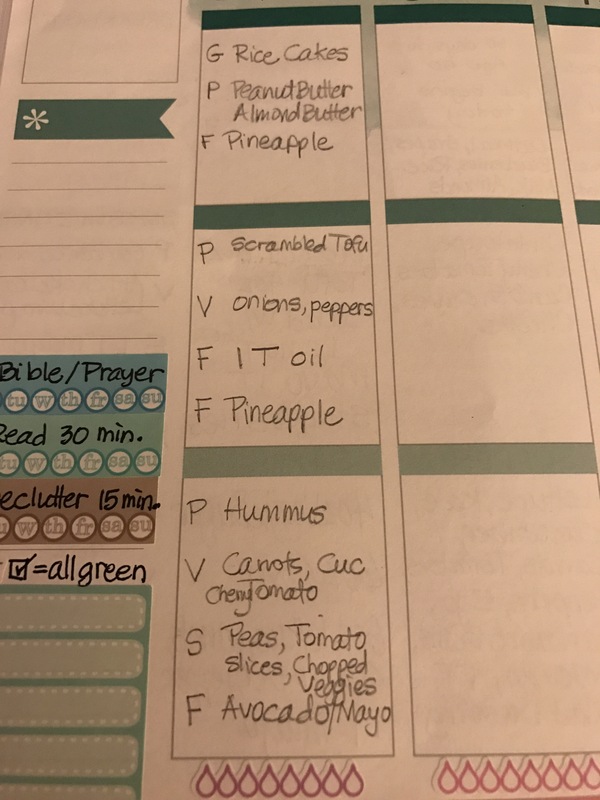 I can’t say enough good things about this and how it keeps me accountable to what I’m eating each day. Weight loss is 80% what you eat and 20% exercise so it’s really important to plan your food and then stick to the plan!! Here are some of my recent weeks. It’s becoming more of a habit now to pencil in my meals for the next day. 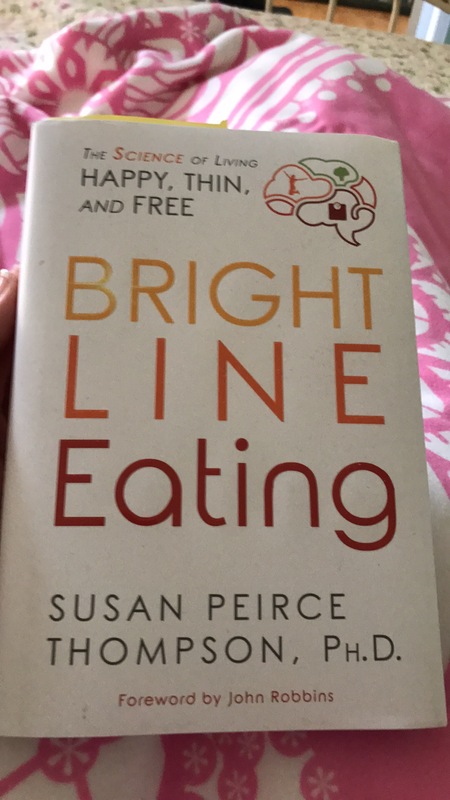 I only plan one day ahead and keep my food very, very simple, following the Bright Line Eating guidelines.